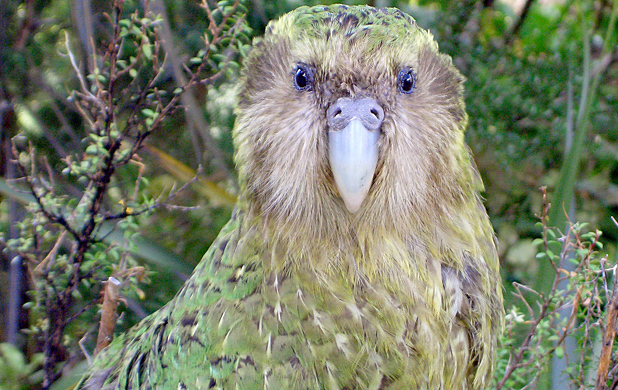 He's one of the most popular birds in New Zealand, and as one of just 129 endangered Kakapos in existence, one of the few night parrots left, making him very special indeed. Sirocco shot to international fame after getting frisky with British celebrity Stephen Fry and zoologist Mark Carwadine in the acclaimed TV series Last Chance to See in 2009. Sirocco found Carwadine's hair inexplicably attractive, prompting Fry to exclaim: "You are being shagged by a rare parrot!" Bizarrely, bidders on Trade Me recently clamoured to buy a unique piece of Sirocco-related history - his rejected 'pine chews' being sold on the popular online auction site. The 'parrot puke' eventually fetched $400! A New Zealand Lake Creature?